I’m in for a story about a dream that seems so far from a person’s beginnings and circumstances, and yet they still believe. I’m also interested in the family dynamic. On a separate but connected note, I’ve just tried but currently cannot think of a single British musician who’s made it big in Nashville. That’s not to say that it can’t or hasn’t been done, of course. Anything is possible. Jamie Sives, Gemma McElhinney, James Harkness, Ashley Shelton, Tracy Wiles and Daniel Campbell also star. All I needed to be convinced to watch this is to see Annette Bening’s name and face. She is one of my ‘acting queens,’ thanks to her brilliant performance in a true favourite of mine, American Beauty (1999). For some time now I’ve been annoyed by the way some of the marketing people responsible for approving movie trailers have gone about their business. They have been happy to release film promos that reveal more of the story than many film fans care to see prior to release. In the past, most of the films that have fallen victim to this ‘reveal virtually everything in the trailer’ movement have been movies I haven’t really been that interested in seeing. 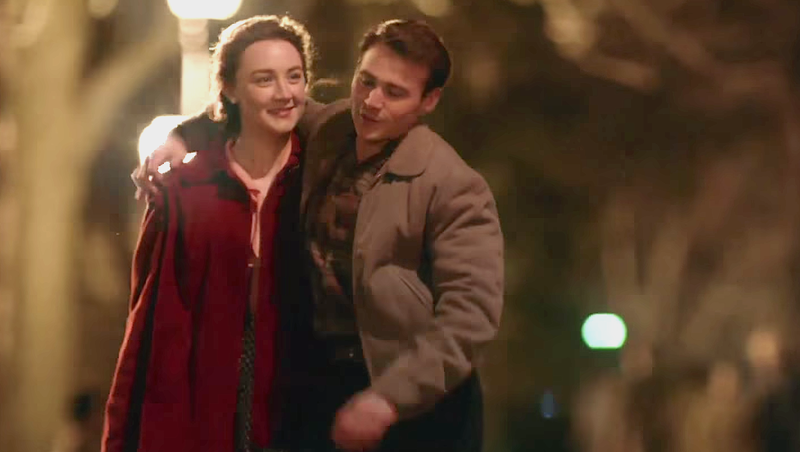 Today unfortunately, is a new day and I’ve just watched the so-called ‘trailer’ for Brooklyn (2015). Starring Saoirse Ronan, Domhnall Gleeson, Michael Zegan and Written by Nick Hornby, the John Crowley directed movie’s trailer reveals what looks like approximately 95% of the film’s plot in just 2.5 minutes. What should have been a well executed trailer that reveals just the right amount to make you want to see the actual movie, was instead turned into what is essentially a very condensed short film sans the actual ending. The feeling I got at the end is akin to how you might feel if a technical glitch occurred at the most inopportune moment, just before the big revelatory last scene of a movie. In such a situation, you might feel forced to immediately seek out the true ending. Perhaps ask someone that may have already seen it. Me? I felt forced to google the ending and I have no regrets. The trailer has left me with completely no reason to want to watch the film. Why would the marketers do this? I just can’t believe it’s because the the film is based on a book that a lot of the audience would have already read. Money has to be behind it, along with laziness and a lack of imagination. What’s obvious is that there’s an opportunity for balance and compromise unless because trailers have been done well before without being turned into short films. Go ahead and watch the trailer but only if you like spoilers.